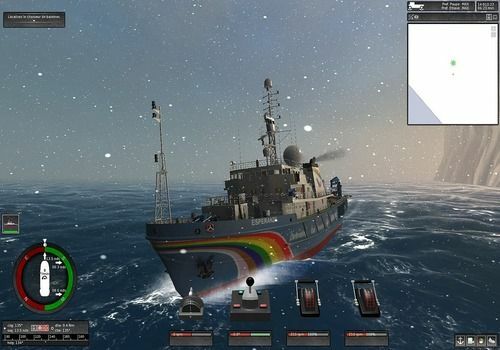 Ship Simulator Extremes is the simulation game of all dangers. In addition to showing you the most beautiful ports on the planet, it allows you to take the orders of many ships such as tugboats, oil tankers, hovercrafts, cruise ships and many others. But your little walk won't be easy. Indeed, you will have to brave the weather conditions and marine currents of the various regions of the world. Ship Simulator Extremes includes an environmental campaign through which you will be required to carry out real environmental missions on board Greenpeace vessels. Multiplayer mode will allow you to challenge your friends online or browse with them. Well done, this PC boat simulation game features quality graphics with calm waters, snowstorms and many animations that can make you seasick.